The hazards surrounding vaping are not entirely clear. More research is needed in this area, but a recent study indicates that e-cigarette vapors could be damaging to your mouth. Here’s what you need to know. Electronic cigarettes are not regulated in the same way tobacco cigarettes are, meaning that their contents can be inaccurately labeled without any oversight. Contents that e-juice usually contains include nicotine, glycerin, chemical flavoring, and propylene glycol. Some of these substances are safe in food, such as chemical flavors, but the effects of inhaling them is not well researched. Heating these chemicals can form dangerous carcinogens such as formaldehyde. E-cigarettes might also include tiny metals and particles that you inhale while smoking. A recent study from UCLA found that vapors from an e-cigarette can kill the cells in your oral cavity, or the area of your mouth beyond your teeth and gums. The study placed oral cells in an environment where electronic cigarette smoke was produced for 24 hours, in a machine simulating how a person would smoke. During the test, 85% of the cells died. According to the lead author of the study, they plan to move forward to test the impacts in humans. These cells are your mouth’s defense by helping to release antioxidants. As the cells die off or become less effective, your mouth becomes more vulnerable to oral diseases. Another study by the University of Rochester Medical Center concluded e-cigarettes are just as bad for your gums as tobacco cigarettes are. Nicotine, which both types of cigarettes contain, is a known factor in contributing to gum disease. 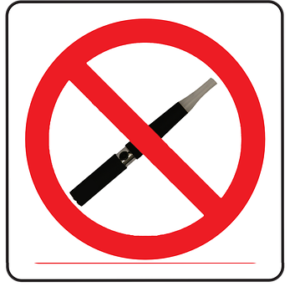 Since the e-juice industry is largely unregulated, it is best to avoid smoking electronic cigarettes. The carcinogenic contents pose serious risks to your health, especially to your mouth. Your mouth relies on the functions of these important cells to defend itself against dangerous bacteria and other substances. Without your mouth’s natural defense system, you open yourself up to oral disease. Make sure you are regularly visiting our office, especially if you are a smoker of either tobacco cigarettes, or electronic cigarettes. Our experienced dental team will perform a complete oral examination during your visit to check for signs of oral disease. Being proactive is your best defense against combating oral disease. For more tips on keeping your mouth healthy or to schedule your next visit, please contact us.